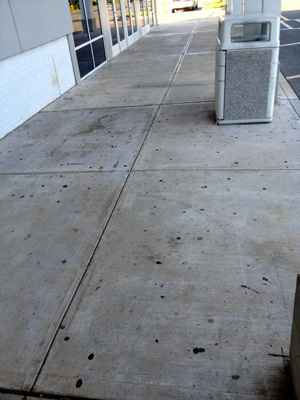 This sidewalk wasn't a good welcome mat for movie buffs. 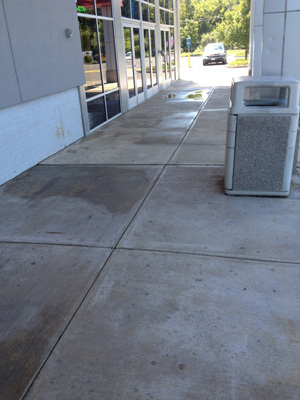 You can walk bare-footed on this sidewalk after it was washed by Pal's Power Washing! 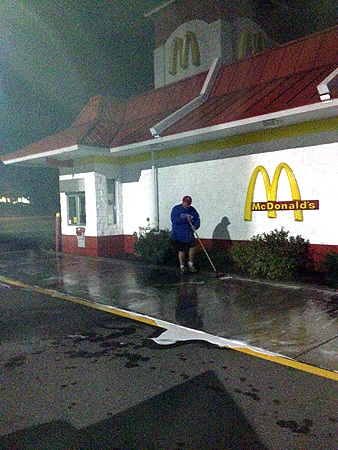 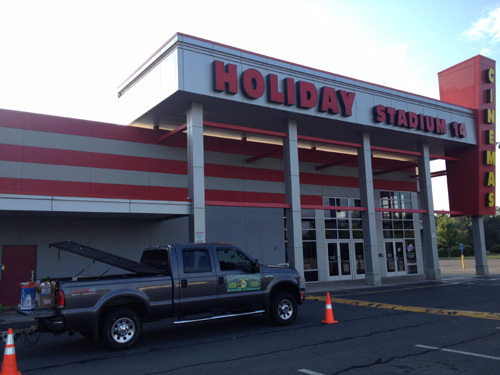 If the front of your business looks like this or worse, it's time to call Pal's Power Washing. 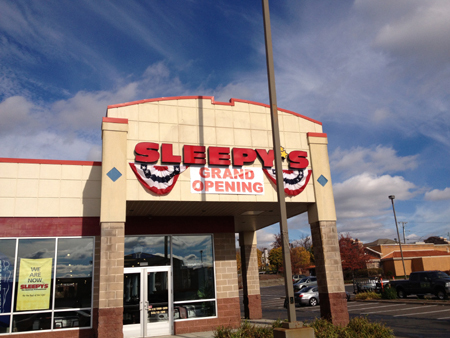 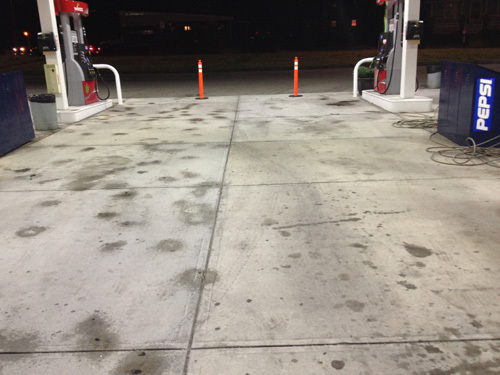 We can remove many stains plus gum and chewing tobacco. 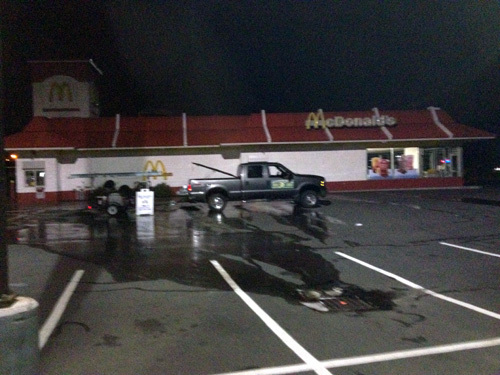 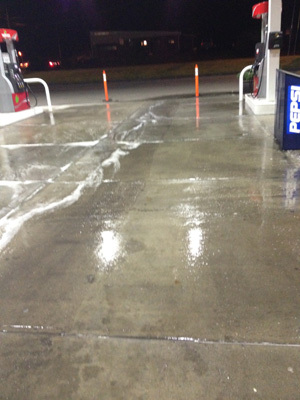 Pal's Power Washing at work in the same gas pump lanes. 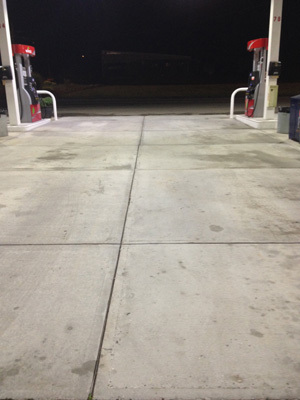 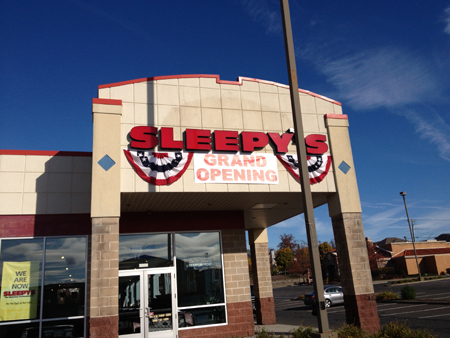 Customers will appreciate having a clean pavement like this beneath them while they pump gas and wash their windows.